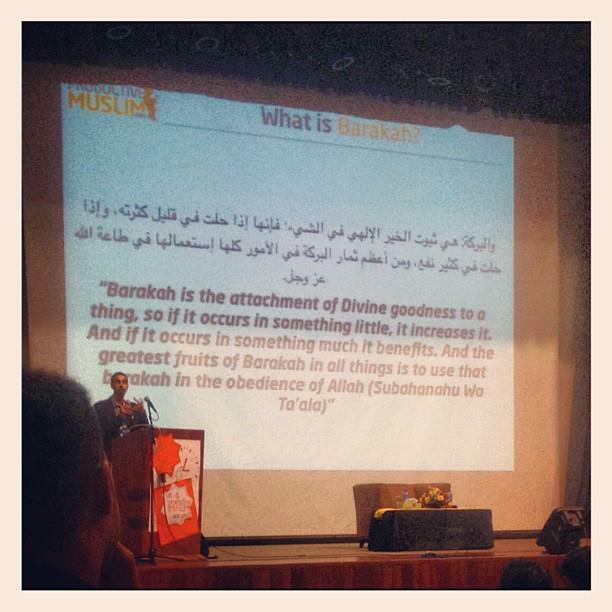 The speaker, Muhammad Faris was witty, energetic, and very informative in his talk. Mohammed Faris is the founder of ProductiveMuslim.com, a dynamic online enterprise dedicated to boost productivity in the Muslim world. He talked about simple steps in beating procrastination, how to use productivity tools and techniques in balancing your spiritual and work life plus many other points. But two things that really caught my attention was about our sleep cycle and also the concept of Barakah in our daily lives. Before you go, enjoy this video by productivemuslim.com ! Love this. JazakAllah Khair Aishah. Can't wait to attend the seminar this weekend inshaAllah.